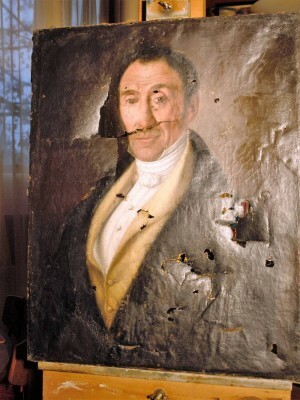 Lining is a drastic step, though arguably sometimes the best thing to do to a badly torn or damaged painting. Tear mending can sometimes be a preferable option, but is not always possible. 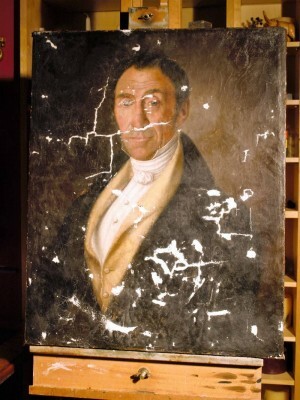 Strip-lining may be appropriate for some paintings where the canvas is damaged only at the edges. Lining usually involves some degree of heat, pressure and/or moisture coming into contact with the canvas, glue-size, ground and paint layers, and so is not undertaken lightly. 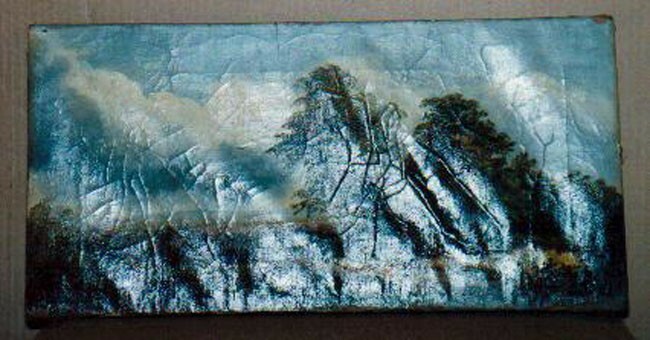 Old linings (often done with glue-paste or wax-resin) which have since failed can be substantially reversed and replaced. I prefer to use Beva 371 for reversible, heat-seal, nap-bond linings. 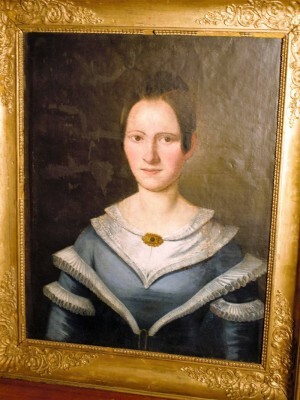 In many cases, moisture, heat, pressure and lining processes are the most effective means of keeping paintings flat, intact and prolonging their life. Flaking or lifting paint can be separately consolidated with adhesive and pressure using a range of materials and techniques. Structural repairs other than lining can include repair and possible replacement of all or part of damaged stretchers and frames. 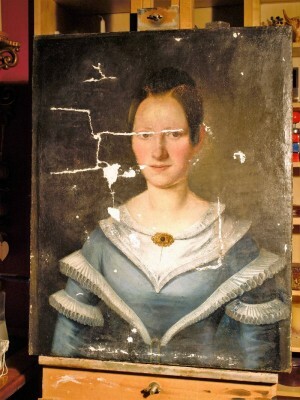 Paintings on rigid supports such as wooden or metal panels potentially involve more complex repairs and treatments. 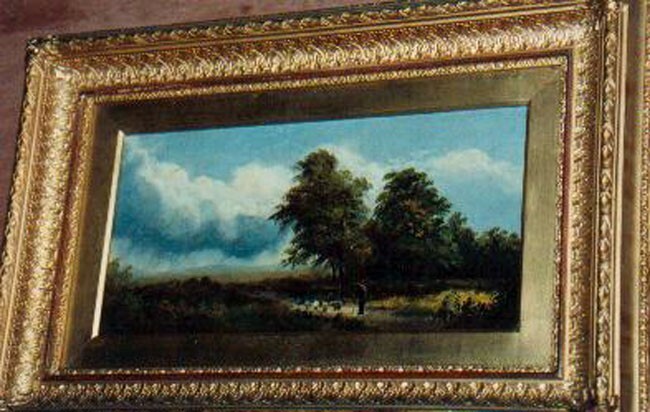 Conservation framing techniques and careful consideration of the environmental conditions and hanging strategy should all be taken into account when treating paintings. Preventive conservation measures can be advised on a case by case basis, limiting the potential causes of damage and decay. 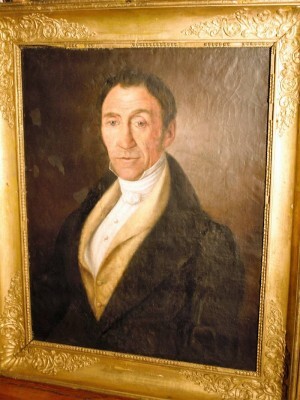 Portrait of a man c.1800 showing tears and holes before treatment. Portrait after full lining, cleaning and filling. 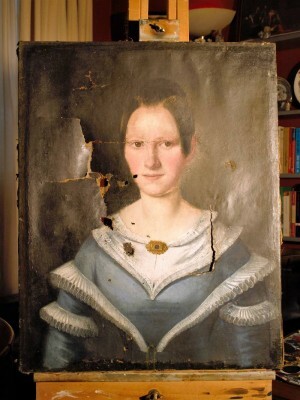 Portrait of a woman c.1800 before treatment, showing holes and tears. Portrait after lining, cleaning and filling. 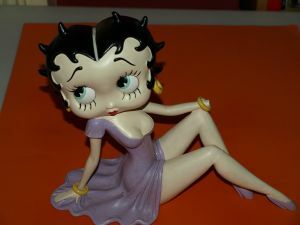 Small resin model Betty Boop after conservation treatment. 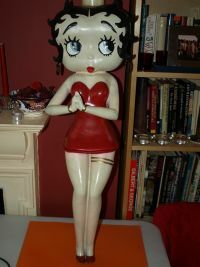 Large painted resin Betty Boop model after treatment. 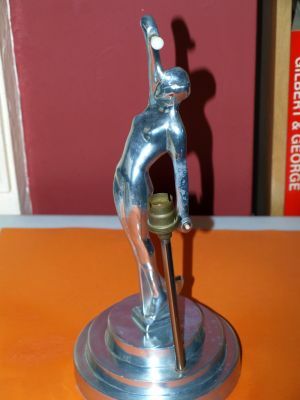 20th century Art Deco metal figurine after structural treatment.